Photoshop has lots of tools for making selections, the magic wand, the highly under rated quick selection tool in PS3, the lasso, the magnetic lasso, the polygonal, the pen tool, the extract tool etc., but for some reason when making a selection in channels is mentioned, folks become a little more nervous. Probably one of the better ways to make accurate selections is in the colour channels, but be warned that it doesn’t always work, so checking the colour channels is one thing that is worth doing straight off the bat. What we will be looking for is the channel with the most contrast, in this case between the sky and the trees. As it happens, the blue channel is the one we will be using, but do check through them on other images you try this on. We’ll be using the paint brush tool and the dodge and burn tools for this exercise, so as long as the program you use has channels, a paint brush, dodge and burn tools you should be able to complete this in programs other than Photoshop. a library of skies, textures etc., they can come in very handy. Here we go … open the main image and duplicate the layer by dragging it the new layer icon, pressing Ctrl J, or going to Layer>Duplicate Layer in the top toolbar. Next, I want you to click on the channels tab, which should be next to your layers tab. Next, click on the blue channel … you should now see something similar to the image below. I want you to duplicate the blue channel by dragging it to the create new layer icon at the bottom of the palette, and you can go ahead and name this if you like .. I left it as blue copy. You’ll notice that we don’t have access to our adjustment layers from the bottom toolbar like we do in the layers palette, we have to select from the top toolbar. 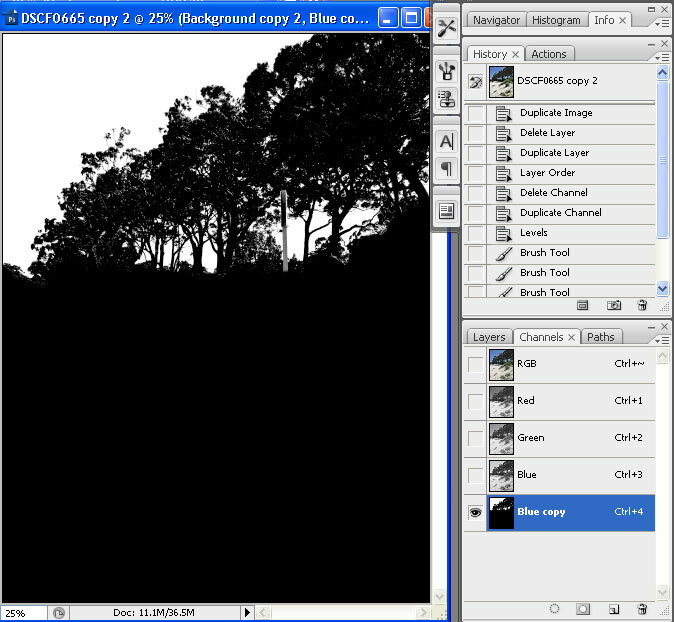 So go to the top toolbar and select Image>Adjustment>Levels and making sure that you are working on the duplicate blue layer (blue layer copy) you can punch in the same settings as I have on the image below. I’ve tried to hide the sand with the dialogue box because we aren’t really interested in that just yet, What you’re looking at is the sky area and the trees and that they are pretty much black and white. Shall we dodge or burn first ? Lets dodge 🙂 Select your dodge tool, select highlights from the top menu bar and keep your opacity down to 10%, or perhaps even less. Go along the top tree line .. zoom in for this … and see if there are any stray black pixels, if there is just dodge over them. 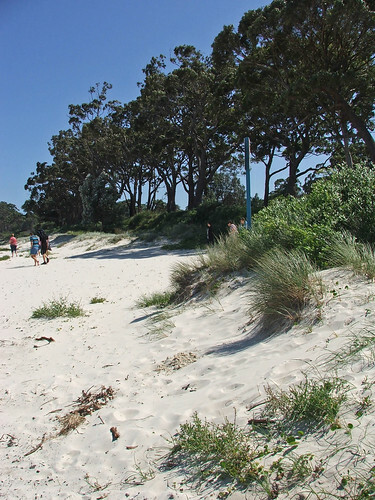 You can also check around the other white areas, inside the trees for example. When you’re happy with what you have, switch to the burn tool, and choose shadows from the top menu and leave that at about 10% as well. 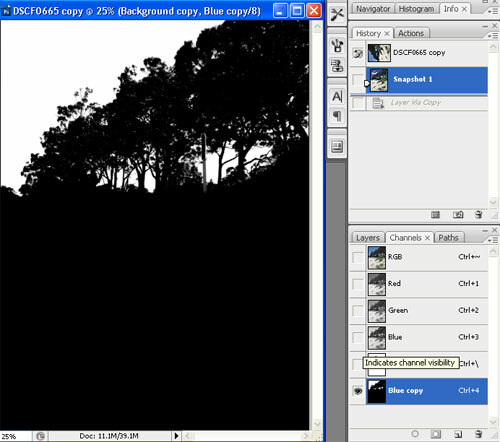 Do the same as you did with the dodge tool, except to the darker areas i.e. burn out any remaining white areas that shouldn’t be there. To Toggle back and forth between your original image click on the RGB channel to check that you have all the areas you want dodged or burned. Like the image below. I went to filter>Blur>Gaussian Blur and gave this a blur of 1 – that would obviously be different if you had a higher res image. and that will load the selection. 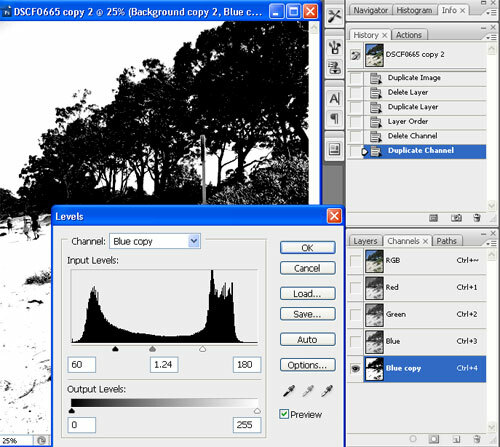 Click on the RGB channel and then return to the layers palette. 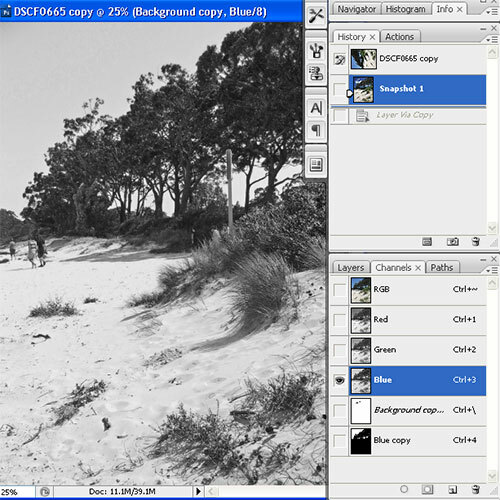 Your selection should now show up on your image in the layers palette. Go to Edit>Cut and the new sky image should show through. To further refine the selection, add a mask to the layer and proceed as you normally would to mask away any stray bits that may be left. 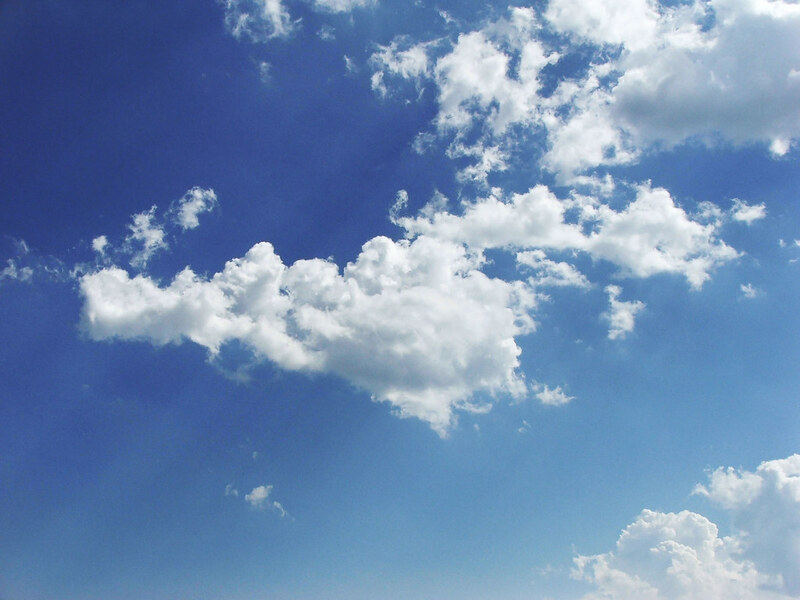 Select the new sky layer, and use the move tool to position it wherever you want in the image. I know that probably sounds like a lot of messing around, but once you have done it a couple of times you will get the hand of it. And this is one of the easiest ways to select stray hair,fly away hair etc., Taking the time to get a mask as accurate as possible in the colour channels will save you loads of time later on.